On Tuesday 29th January, P4 boys went to the Lifewise Centre at Hellaby for their Crucial Crew Day. Crucial Crew is a personal safety educational programme delivered to all Key Stage 2 pupils in Year 6 of primary school (10 and 11-year-olds). The programme is run in conjunction with South Yorkshire Fire and Rescue and in partnership with Local Authorities, First Buses, Her Majesty’s Court Service (HMCS), NHS Trusts and the Safe@Last charity. The boys got to spend the day at the Lifewise Centre, working through a series of real-life scenarios related to personal safety in an interactive and exciting way. The scenarios cover issues such as arson, hoax calls, road safety, fire safety, travel safety, Internet safety, and antisocial behaviour. 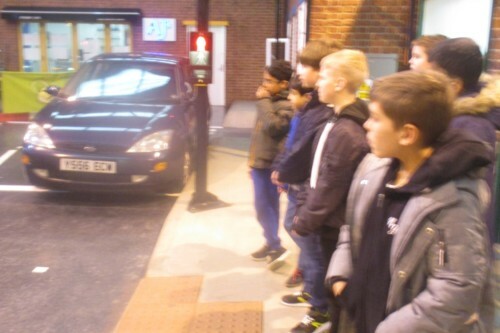 The boys had a fantastic time, learning important life skills.